We can't process or print an order without good artwork set up for screen printing. 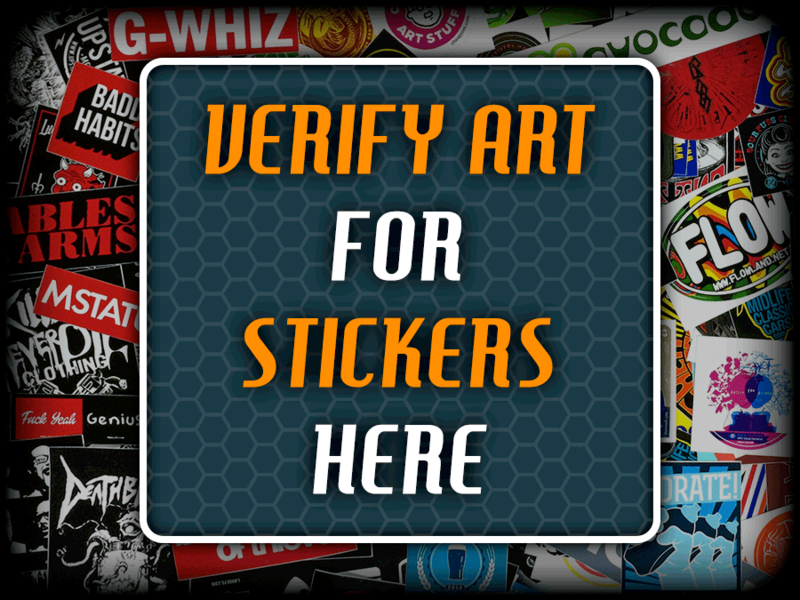 If you have never ordered stickers or shirts before, it is a good idea to have us verify your artwork is usable for screen printing before you place an order. We have found over the years that nearly 50% of all artwork files from new customers are rejected because the artwork files was not usable for screen printing. Click here for the 10 most common problems with artwork and orders. 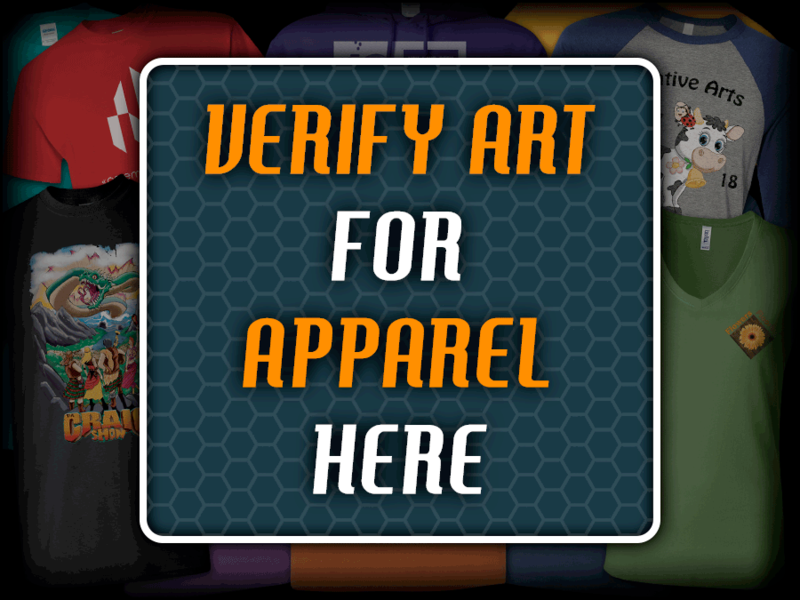 Artwork verification is a free service we offer to help our customers. You have nothing to lose in having your artwork verified beforehand. If there is problem with your artwork, we'll email you back and let you know what the problem is and offer information & possible solutions to help you correct your artwork.